Flowing rhymes and Molly Idle’s signature artwork make this the perfect read aloud that every toddler needs to hear! The theme is simple; children should use their teeth for eating food and not biting friends and relatives. “People don’t bite people. It’s nasty and it’s rude! A friend will never bite a friend. Biting is for food!” The cheerful tone of the text and comical illustrations make this book engaging, entertaining, and effective. My almost three-year-old daughter just loves this book and it quickly became a favorite at bedtime. Even my five-year-old enjoyed listening to it. He actually snuck it out of my daughter’s room and into his for an additional reading! 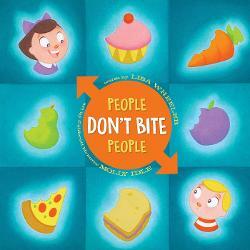 Many children experience a biting phase and this book is perfect for combatting or heading off this unpleasant stage. Because the book is not overly didactic, it can also simply be used as a fun read aloud as well. Wheeler and Idle have created a real winner here that belongs in every preschool, daycare, and home library. Onomatopoeia mixed with a classic song brought to life by comical illustrations results in this fabulous new book. 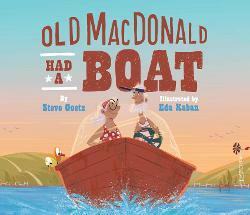 In this rendition of Old MacDonald Had a Farm, we follow the farmer, his wife, and handy barnyard animals as they transform an old boat into a suped-up speed boat complete with water skis. Kids will love repeating the sounds of the various power tools used to fix up the boat. “Old MacDonald had a farm E-I-E-I-O And on that farm he had a …saw! E-I-E-I-Whoa! With a buzz buzz here and a buzz buzz there here a buzz there a buzz, everywhere a buzz buzz.” It is almost impossible not to sing along to this fantastic new spin on an old classic. Children usually love the unexpected and changing up a popular song will result in happy giggles. At least it did with my children. They could not get enough of this book this month. It left us singing Old MacDonald everywhere we went! 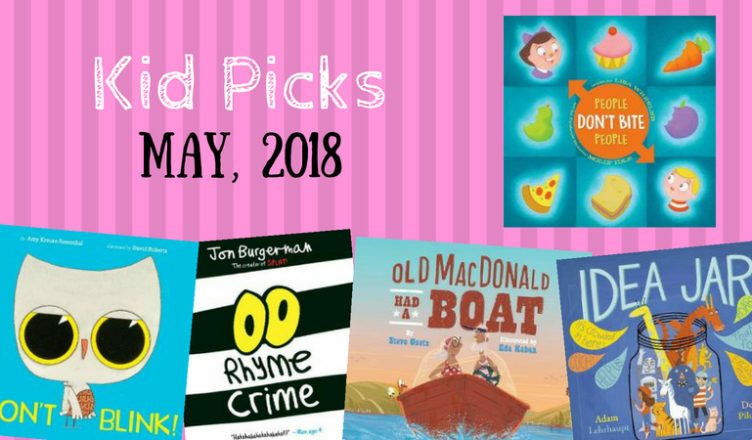 We loved Old MacDonald Had a Truck (2016) and were thrilled to find that the sequel lived up to all of our expectations. 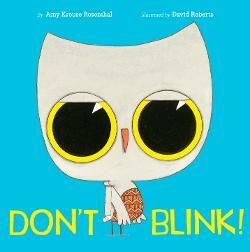 This book is sure to become a storytime favorite. This is by far one of my favorite books of 2018. A large-eyed owl promises the reader that they can stay up past their bedtime if they are able to refrain from blinking during the length of the book. Filled with a variety of clever tactics including optical illusions, children will be entranced by this comical interactive book! Who doesn’t love a good rhyme? This clever book follows a thief as he replaces one item with another that rhymes. “Hammy’s brand-new hat was swapped for a…cat!” He finally gets caught when he struggles to find an object that rhymes with orange. He isn’t stuck for long though as he cleverly finds a way to escape using some skillful wordplay. I personally found some of the illustrations a little creepy (sorry Jon Burgerman! ), but they didn’t seem to bother my children since they asked for this book again and again. I have to admit the bright colors are engaging and the story is quite humorous. My kids loved trying to predict the next rhyme. Once they had the book memorized, they still loved shouting out the subsequent word. 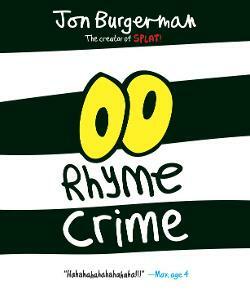 While this entertaining book is quite silly, it is also a wonderful tool to introduce or practice rhymes. I have a special place in my heart for stories that encourage creative writing and Adam Lehrhaupt has found that soft spot with Idea Jar, a wonderful story for budding authors. 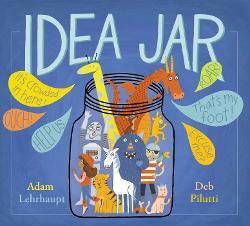 The ingenious teacher in this book displays a glass jar filled with various ideas to inspire his students to write. The magic of stories is experienced as the ideas come to life in the diverse classroom only to be tamed by the students when they create their own class story. My daughter could not get enough of this imaginative book. She loved all the different story ideas, especially the horseless cowgirl, and enjoyed pointing her out in the illustrations. This book belongs in every classroom library and is sure to inspire lots of inventive stories from children.